Turn the car on. You need the engine warmed to check the transmission fluid level. Locate the transmission fluid dipstick. Check your owner’s manual for the exact location, but generally, on front-wheel drive cars, you can find to the right of the oil dipstick. Remove the dipstick and touch the fluid, making sure to rub between your thumb and forefinger. The fluid should be nearly clear, with a pink hue. If it burnt smell or looks dirty, take it to a service center for a replacement. Use a rag to wipe off the dipstick and then insert it back into the vehicle. Pull it out again and check the level. If it’s under the “Full” marking, you’ll need to add more. Use a funnel to bring the fluid level up to full. Make sure not to overfill it. 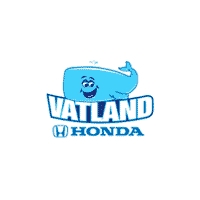 If you have issues or questions, feel free to contact us at Vatland Honda near Port St. Lucie for help. Checking your main fluid levels should be done monthly to ensure you catch any leaks or issues. That includes checking your transmission fluid, power steering fluid, and engine oil. You can also consult your owner’s manual for a more specific maintenance schedule. Not all transmission fluid is the same. You will find different types for recent models, manual transmissions, and automatic transmissions. Your owner’s manual will recommend a particular type of transmission fluid. For a car with a manual transmission, checking the transmission fluid will usually require a jack to access a plug located beneath the car. For most drivers, a visit to our service center near Port St. Lucie is more convenient. If your vehicle hesitates before shifting gears, it might be due to low transmission fluid. However, it could be a sign of a more serious problem. Check the fluid level first, but if it’s fine, schedule service with us today. Transmission fluid should be replaced every 50,000 to 100,000 miles. The actual interval depends on the type of transmission, your driving habits, and other factors. Check your owner’s manual for a more specific replacement interval. We can help with any questions you have about vehicle service or maintenance. Contact our service center at (855) 906-4238 or stop by our showroom near Fort Pierce.